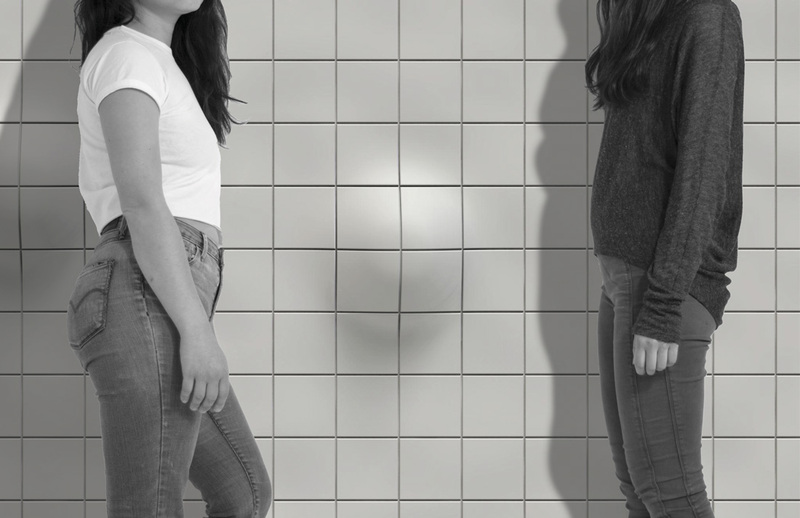 Warm Wall is a heated protrusion in the wall of a women’s public restroom for alleviating menstrual cramps. It can be leaned on to commiserate with a friend, with a stranger, or alone. 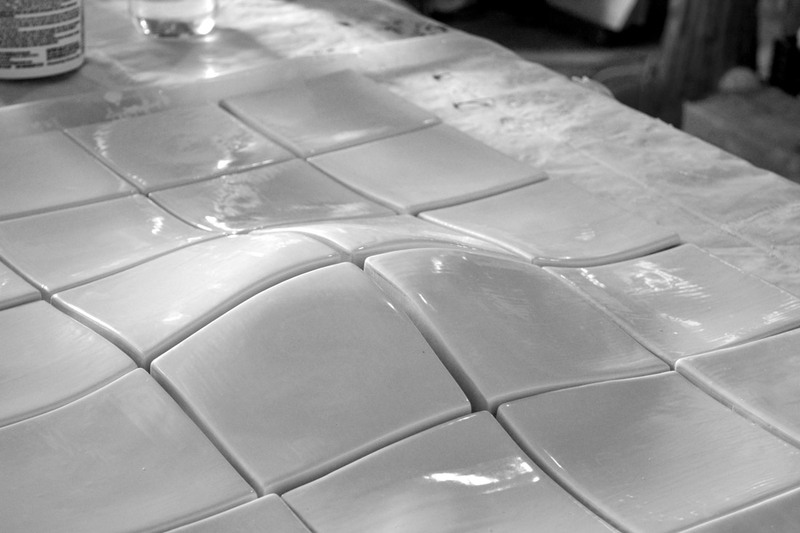 Using technology similar to underfloor heating systems, the wall is composed of heated ceramic tiles. Women can lean on the wall with their abdomens and lower backs for natural cramp relief through pressure and heat. While designing sustainable tampon packaging for a medical prototypes class, I realized that discussing menstruation was still quite taboo and uncomfortable for many people, despite being a mundane part of everyday life for half the population. This inspired me to continue exploring this topic as an opportunity for design, looking at how the objects in our environment can either stigmatize or normalize a subject. The whole material culture around periods – tampons, pads, cups – is about hygiene, which is meant to be hidden and invisible (not to mention costly). Even menstrual pain solutions like medication and heating pads are meant to be domestic, private, or discretely used. This spurred the desire to create a public amenity rather than a consumer good for purchase, addressing the common emotional and physical discomfort of periods rather than hygiene. I wanted to make something clearly visible that could eventually become part of the built environment. It could be used alone, shared amongst groups of women, or spark empathetic conversation between strangers. You could decide to use it or pass by without much thought. It could be taken for granted in the same way that toilet paper is. After all, menstruation is no more special of an event than going to the bathroom, so why is nothing publicly provided? As a transitional space between public and private, the women’s restroom hosts a multitude of activities extending far beyond its original purpose. Women take refuge to retouch makeup, change clothes, hold private conversations, or take a quiet moment for themselves. They exchange menstrual supplies, lamentations, and advice. This is how I began thinking about a heated wall – a comforting public bench for menstruation in the bathroom that could support an already existing social dynamic. Since period pain occurs in the lower abdomen and lower back, I examined a variety of women’s measurements against the wall. I wanted the design to blend into the public restroom environment both aesthetically and socially, so I looked at the manner in which women often subconsciously lean on the wall in casual conversation. I had women test 3D shapes in partners and groups, against the wall and each other to see what felt most comfortable and intuitive against their bodies. After receiving feedback from a variety of cardboard and 3D printed shapes, I realized that accommodating pain for a diverse range of bodies and leaning positions would require a very simple form. Like a public bench, it would have to be minimal and subtle in order to be useful to all. 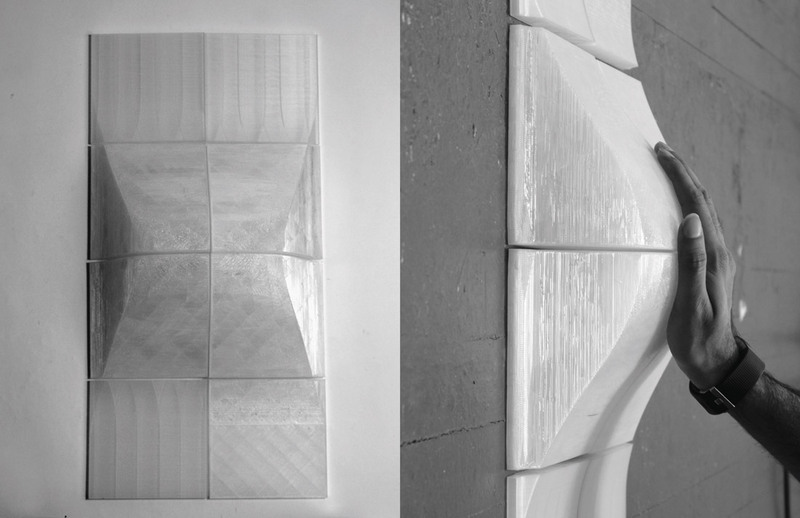 The idea of modularity first came out of practicality for the wall to be slip cast in ceramic tiles, following the visual language of public bathrooms. However, the development of the system also led to potential for alternative configuration patterns, accommodating different types of pain in the future. 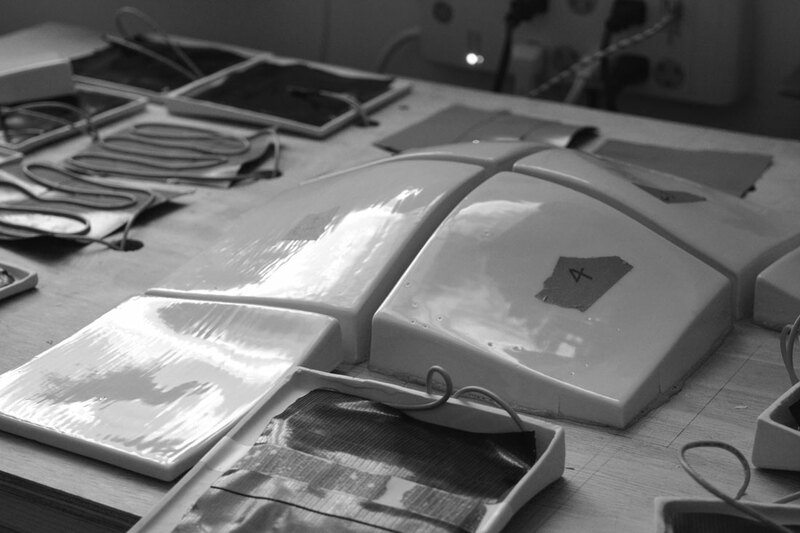 I created a working prototype by inserting electrical heated wires behind the tiles. In addition to women’s needs, I hope this project inspires people to think about how our public spaces can be more empathetic toward everyone.